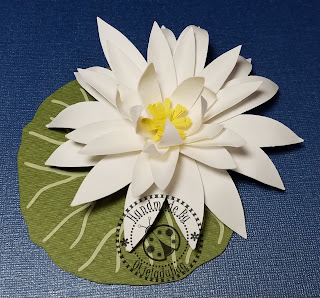 One of the members in my Cricut Design Space Paper Crafting Facebook group asked if anyone had a 3D waterlily and since she wasn't able to find one I thought I would try and make one. I had to tweak the file a few times to get it to assembly easily. 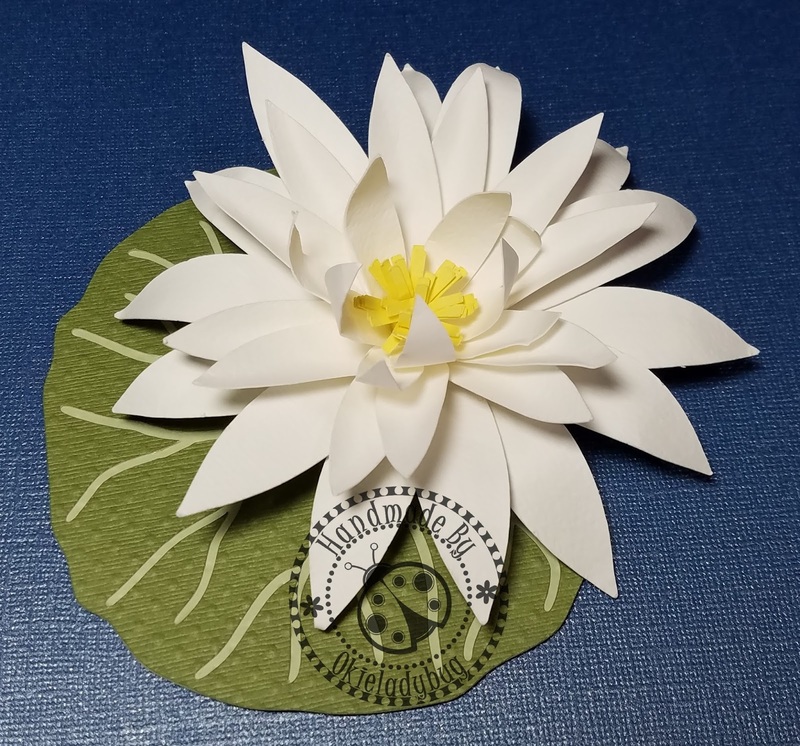 The flower has 6 layers, 2 of 3 different sizes, a center and there is a lily pad that has two layers. 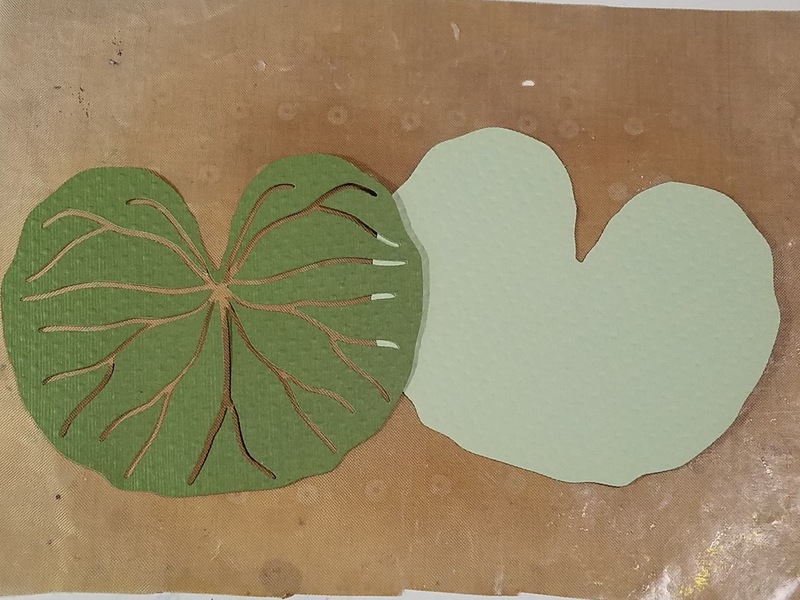 I did the two layers on the lilypad to show veins in the lilypad. I always think details make all the difference. 1. 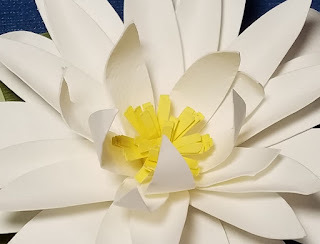 I used a quilling took to wind up the center of the the flower but if you don't have a quilling tool you can use whatever is available to you, such as the end of a small paint brush. 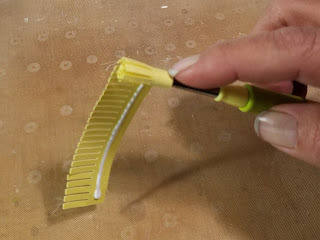 Run a line of glue along the bottom before winding the paper. 2. This one is simple, just glue the top layer of the lily pad to the bottom. 3. I used a hot glue gun to put the flower together. I find hot glue seems to work better when making 3D flowers. Spritz water on the flower layer so you can bend it easier. 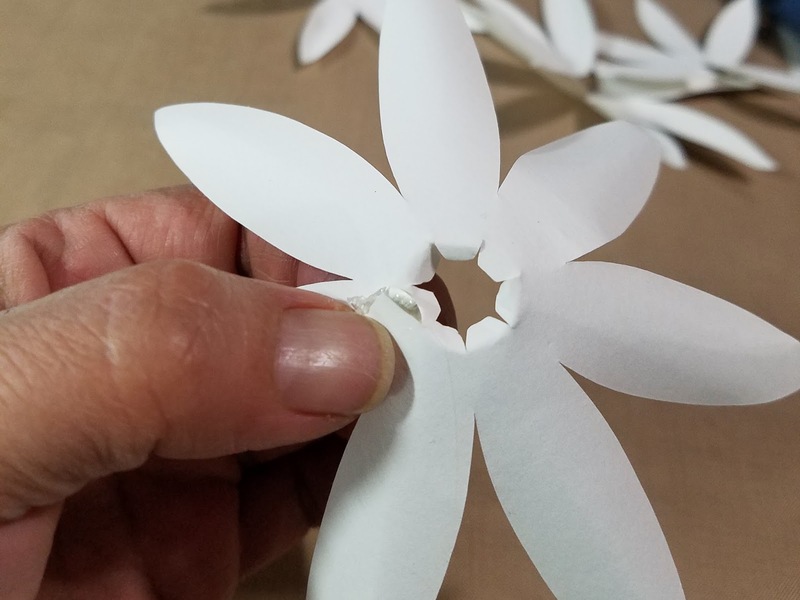 Bend the small tabs up toward the center of the flower, add a drop of hot glue to the large tab on the petal and then adhere to the petal making the flower round. 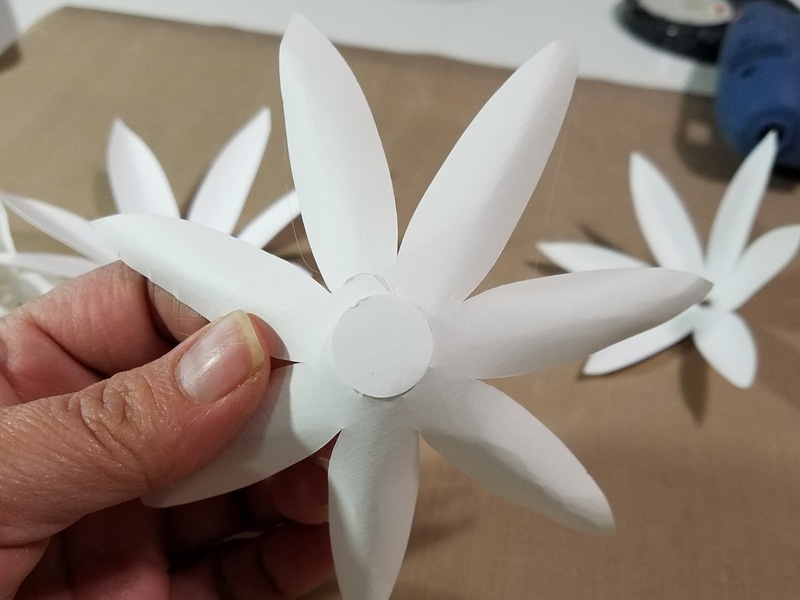 Your flower layer will have a bit of a cone shape to it at this point. Repeat step with all layers. 4. Glue one of the large flower layers to the circle that is cut. 5. 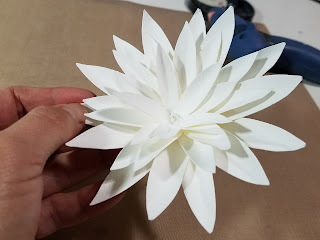 Glue the other large flower layer to the bottom layer, staggering the petals and then add the 2 medium layers and finish with the 2 small layers. 6. Add the yellow center with some hot glue and fluff out the fringes. If you don't like how your petals are shaped then just spritz them with a little water and shape as desired and allow to dry. I am offering this file for free and all I ask is that if you download the file please leave a comment of thank you, much appreciated or some sort of acknowledgement. Thank you! We have lilies in our pond, so this is perfect! Saving for later! Thank you, it is just lovely! So beautiful, can't wait to try it! Thank you. Thank you so much! I shoot photos and water lilies are a favorite of mine in the summer. Can't wait to try my luck at making this. It's so pretty. Thank you for sharing. Thank-You for the lovely cutting file and for the great instructions! Thank you!!! Can't wait to try this cut.